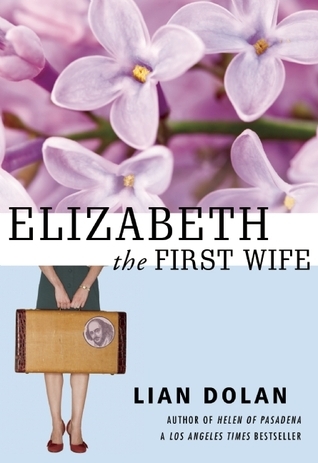 “Elizabeth the First Wife” by Lian Dolan is a fun entertaining summer read. I was captivated by Elizabeth’s wit right away and loved her little inner monologues. I really enjoyed “Elizabeth the First Wife.” On a bonus side, I knew where the story took place since I have been to Ashland, OR a few times. I really liked Elizabeth as a character, she was genuine and funny. Dolan made Elizabeth very down to earth. She likes working to make a living even though it could be hard at times instead of taking the easy way out and using her parent’s contacts to get a better job. Elizabeth is a Shakespeare scholar and she loves teaching Shakespeare’s literature to her students. When Elizabeth’s ex-husband FX Farley, the movie star, asks Elizabeth to go to Ashland to help out with a Shakespeare play, she reluctantly agrees. As Elizabeth goes on a journey to Ashland, OR, she also takes the time to start writing her book that she received a deal on. As the reader, I enjoyed getting to see the little book previews at the end of each chapter that Elizabeth was working on during the story. I thought it gave “Elizabeth the First Wife,” its own unique detail for the reader. This isn’t something that I have seen done before and I really liked it. I think Dolan did a fabulous job with this novel. The story/plot line was fantastic and the pace was great. I had a hard time putting the novel down because I wanted to know what was going to happen next in Elizabeth’s life. The characters where fantastic, I loved them all. FX is shyer than I thought he would be, since he is a big movie star. Elizabeth is the witty girl that everyone would be lucky to have as a best friend. Rafa is the gorgeous boy next door that any girl would want to date. Reading this book on a little more personal level, I am a college student and the last two weeks we have been studying “A Midsummer Night’s Dream” in my English class. It was pretty cool to be studying the same play that the characters in the book were performing. I think it made things pretty interesting and at the same time really fun. I think “Elizabeth the First Wife” is definitely worth regarding. It is cute, fun, romantic, and witty. It is definitely a great summer read. I give "Elizabeth the First Wife" four out of five bookshelves.